Using a slow cooker is a convenient way for busy people to cook dinner for their families. You can make the most of this convenient cooking option if you understand the best ways to use it. 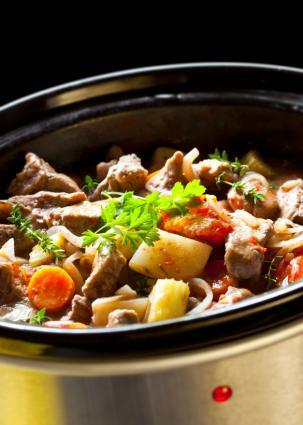 The following tips can help you use your slow cooker successfully to make delicious food. These dishes work well in cookers because they require moist cooking environments to tenderize the meat and vegetables, and cookers do not allow water to evaporate. You can add all the ingredients in the morning, and turn the cooker on low to cook all day. After about ten hours, your meal is ready. The best meats to use in a slow cooker are those that need to be cooked slowly at a low temperature (low and slow). With these types of meats, the cooker braises or stews them by cooking them at a very low temperature with a lot of moisture. Braising occurs when you cook a large cut of meat, such as a pot roast, with moisture at a low temperature for a long period of time. Stewing uses the same cooking method (moist, low, and slow), but with small cuts or cubes of meat. Most cookers have a few different settings. The most common settings are warm, low, and high. In general, the low setting heats food to and holds it at about 200 degrees. Cook foods on the low setting for about ten hours for best results. The high setting heats it to and holds it at 300 degrees. Foods on the high setting can be cooked for four to five hours for best results. The warm setting will hold cooked food at a safe temperature for several hours, but it should not be used to cook foods. A slow cooker's long cooking time can cause certain flavors to become muted. However, there are several things you can do to build better flavor in cooker meals. Brown meats and cook vegetables on the stove before adding to the cooker to add caramelized flavor and release some of the moisture. Deglaze the pan in which you cook your meat and vegetables with a little wine or other cooking liquid, scraping any browned bits from bottom of your pan with the side of your spoon. Add this liquid to the cooker. Use flavorful liquids, such as stock, instead of water. Add dried herbs and spices early in cooking. Add fresh herbs and spices late in cooking. During the last 30 minutes of cooking, remove the lid to allow some water to evaporate. Taste before serving and adjust seasonings with salt, pepper, and fresh herbs. You can use your cooker to roast a whole chicken. When roasting a chicken, season it thoroughly on the outside and don't add any moisture. To keep the bottom of the chicken from getting soggy by sitting on drippings, chop or slice an onion and lay the chicken atop that in the cooker. Cook on high for four to five hours, until chicken is tender and falls off the bone. When roasting a chicken in the cooker, the skin will not crisp, so you may wish to remove it after cooking. Don't remove it before, because you need the skin to retain flavor and moisture in the chicken. Once you've roasted your chicken in the cooker, you can use the drippings to make a delicious chicken stock or jus. Many cookers come with inserts that allow you to bake in them. Quick breads work especially well in a cooker. For the best results, it is important to follow the manufacturer's instructions and recipes exactly, since baking in a cooker is very different than baking in an oven. Never fill the baking insert more than half full. Don't open the cooker during baking. Only lift the lid when you are ready to assess the doneness of the baked goods. When preparing holiday meals, oven space is at a premium. A cooker can free up valuable oven space. Make your stuffing in a cooker. Line the cooker with foil and heat dinner rolls. Warm a ham in the cooker. Make sweet potatoes in the cooker. Trim meats to about 1/8 inch of fat. If using ground meat, use 85 percent lean or greater. Skim fat from the top of cooked soups, stews, and sauces using a ladle. If you have a sauce that is fatty, set aside solids and put liquid in a fat separating pitcher. Because of the cooking time involved in using a cooker, sometimes the crock winds up with cooked-on foods that are difficult to remove. One of the best ways to minimize cleanup is to use slow cooker liners. These line the crock while you cook, making clean-up quick and easy. If you've never used a slow cooker, you're missing out on a convenient way to make weeknight meals. Keep these tips in mind and you'll be slow cooking like a pro in no time.